Just the one new title reviewed last week, The Heroic Legend of Arslan Season 2, which was a bit of a pain as I haven’t seen Season 1. It’s the tale of a young prince who must grow up fast and become a warrior, to take back his father’s kingdom after enemies invade and depose him. He did a whole lot of growing up and fighting in the first season, and this second season is merely the continuation. It’s an open ended continuation too, short at just eight episodes. So nonplussed as to the characters and story when I started to watch it, and disappointed by the lack of an ending, it turned out to be, sort of alright really. I finally got around to watching the last piece of the Patlabor puzzle when I took a look at Patlabor WXIII The Movie and it turned out to be the second deflating experience of the week. It’s actually a good, highbrow b-movie, where a couple of police detectives have to track down a genetically engineered sea monster and the people behind it, as it rampages through the city. But, it doesn’t really feel like Patlabor, the giant robots are thin on the ground, and the regular characters barely get cameos. If you’re expecting a Patlabor movie, you might even be disappointed enough to think it a bad movie. I certainly was. Once more I double-dipped from DVD to Blu-ray, and felt the need to write about the differences between the two. RWBY Volume 2’s upgrade was a little more drastic than usual, as for the original review, I had the whole kit and caboodle on a single layer DVD-R from the distributor. Certainly going from that to a Blu-ray retail copy was a big jump, but this time I learned that Rooster Teeth were yet to address all the issues with their authoring as they had done by Volume 3. The only step up from Volume 1 is the addition of subtitles. The fairy tale inspired pseudo-anime is just as much as fun as before though. 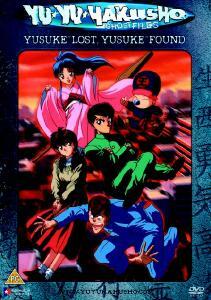 Yu Yu Hakusho. Every once in a while, I get an urge to watch what little I have of this show, and ponder at what might have been. Yu Yu Hakusho is a long running, shonen action show from the late nineties, which pits its protagonist Yusuke as a Spirit Realm Detective. The high school delinquent has to battle various spooks and demons to keep the balance on Earth. It’s fun in the same way as shows like Naruto and Fairy Tail, although its premise is a little closer to snooze-fest Bleach. Alas, in the UK, this long running show only got as far as the fifth, rather short volume from MVM, we didn’t even make it to episode 20. What we did get is pretty good, as the show had yet to reach the usual shonen pitfalls of thinly stretched storylines, filler and recaps. Here’s my review of volume 1, which was released in 2005. Volume 5 was released in 2006, after which Funimation pulled the distribution deal with MVM, and the show fell down the cracks during the switch to Revelation. If you are interested in the show, Funimation in the US released the show on Blu-ray, genuine HD thanks to the cel and paint origins, and the discs are Region B compatible. You can have all 112 episodes of the show in four Blu-ray collections. 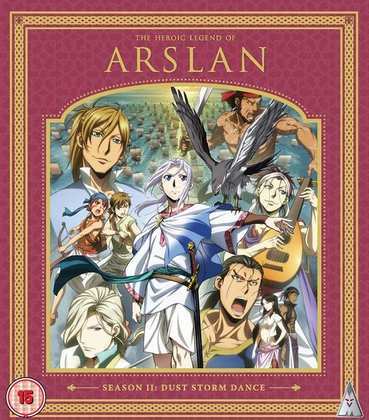 MVM release The Heroic Legend of Arslan Season 2 on Blu-ray today, and I don’t think the standard edition release will match with Universal’s Collector’s Editions of Season 1. Pioneer released the Ultimate Edition of Patlabor WXIII The Movie on DVD back in 2003 in the US, but there has been a subsequent DVD and Region A locked Blu-ray release from Sentai Filmworks. 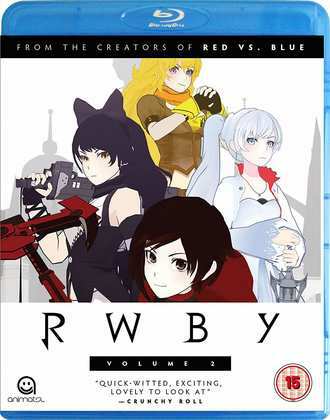 Manga Entertainment released RWBY: Volume 2 on DVD and on Blu-ray in 2016.